Styled with pelat trench coat . 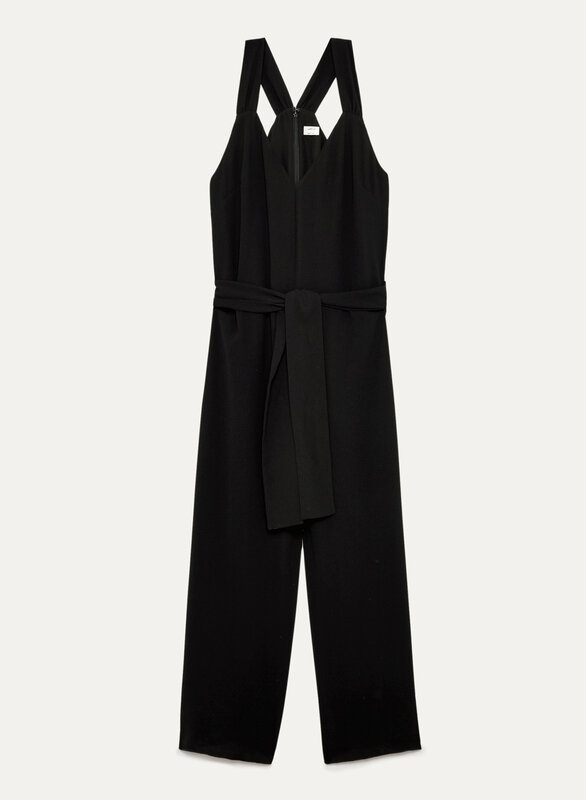 This jumpsuit is made with a matte crepe fabric from Japan that drapes beautifully. 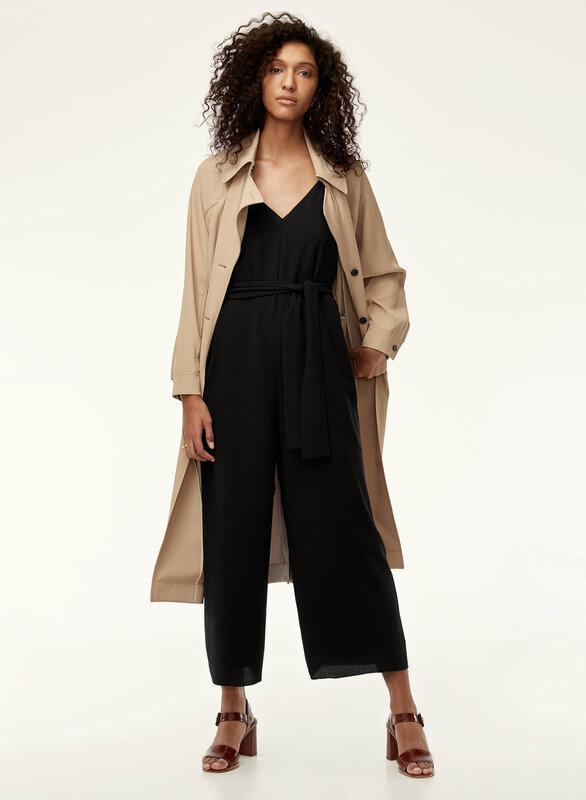 An adjustable tie at the waist lets you customize the fit, while the wide leg silhouette makes for a comfortable fit.